What are the effects of decreasing social mobility? How does education help - and hinder - us in improving our life chances? Why are so many of us stuck on the same social rung as our parents? 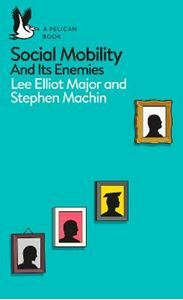 Apart from the USA, Britain has the lowest social mobility in the Western world. The lack of movement in who gets where in society - particularly when people are stuck at the bottom and the top - costs the nation dear, both in terms of the unfulfilled talents of those left behind and an increasingly detached elite, disinterested in improvements that benefit the rest of society.